Like the example shared above, various OTC (Over The Counter) products contain the same or like ingredients. Alka-Seltzer is a commercial product sold in most drug stores, which contains Aspirin as an active ingredient. The Memorial Sloan-Kettering Cancer Center offers a detailed list on their website of Aspirin-containing products commonly sold OTC. Also, prescription drugs can pose health risks if taking more than the prescribed dose, or when different providers recommend the same or alike medications. Below are some tips and suggestions to prevent double dosing, and promoting safe medication regimen. 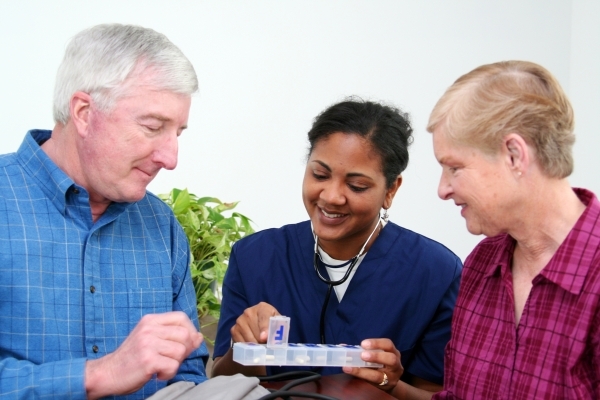 Most pharmacies provide drug information with each medication dispensed. Take some time to acquaint yourself with ingredients listed on prescription labels and OTC containers. Various OTC remedies contain ingredients that can increase or decrease the effect of certain medications. For example, people taking Coumadin (an anti-coagulant medication) are advised to refrain from OTC products with high levels of Vitamin K. As shared in Drugs.com, individuals should not take Vitamin K while on Coumadin since it counteracts the effectiveness of the medication treatment. Pharmaceutical names can be challenging to pronounce, let a lone remember. When taking more than one product or medication for similar symptoms or conditions, it is advisable to seek guidance from a pharmacist or physician who can provide suggestions and answer any related questions. Some drug doses are calculated based on weight, age, and underlying health conditions. It is best to refrain from taking medications from friends and family, regardless of their well intention. Read the medication label, as you may have refills accessible before having to obtain a new prescription. Medications and OTC products at risk for posing harm or adverse reactions contain warning labels in packages and containers. For example, Acetaminophen (branded as Tylenol) can cause liver damage if taken in high doses, or by individuals with liver disease. Ibuprofen (branded as Advil, Motrin, Midol, & others) are known as an NSAID or NonSteroidal Anti-Inflammatory Drug. As noted in the MayoClinic,Ibuprofen can lead to GI (gastrointestinal) bleeding in people with a history of smoking, GI ulcers, alcohol consumption, and with prolonged use. Most products containing the ingredients described above will provide a warning label to alert consumers of possible adverse effects. In the event you failed to take a medication as scheduled, contact your physician for an appropriate plan of action. Consuming two medications in one sitting, doubles the concentration of the drug, and can lead to overdose or adverse reactions. There are prescriptions and OTC medications that pose no harm if two pills are taken to compensate a missed dose, yet this is under the physician’s discrepancy. Create a medicine log with drug names and OTC products, dosage, and medication times. Then set an alarm or a notification alerting you to take the medications as scheduled. A pillbox containing the days of the week with “AM” and “PM” slots, allows for easy tracking of medications taken, and also accounts for missed doses. Research topics such as: new drug findings, food interactions, warnings, precautions, and other pertinent information on medications and OTC products you consume. A local pharmacist can answer drug-related questions, as well as provide resources like websites and brochures with educational materials. Medications that sound-alike or look-alike can lead to adverse drug events, if taken in error. It’s important to keep apart and distinguish these medications. Suggestions include highlighting prescription labels for distinguishing purposes, or writing on the pill container the intended use of the medication. Some drug companies provide color coding and easy to read labels to prevent medication errors. Click here for The Joint Commission's list of sound-alike & look-like medications. It’s crucial to take an updated list with medications and OTC products when visiting healthcare providers. This prevents the likelihood of a physician re-ordering the same pills you may be taking, or prescribing a drug that interacts with your current medication regimen. Be sure to contact your physician if you experience any abnormal signs or symptoms. The drug dose may need to be tailored, or discontinued. Be sure to notify your physician on any OTC products, as they may also interact with certain medications. * All information should shared in this article should be discussed with your healthcare provider prior to incorporating any suggestions. This article is for informational purposes only, and is not intended to provide advice or direct client decisions. I'd like to share your blog on my FB page and give my friends an opportunity to subscribe. Other than sharing the URL it would be nice if you could attach Facebook and Twitter links. This may not be possible or might be cost-prohibitive. Just a suggestion. I really enjoy your topics. Hi Nancy. Thanks for your feedback! The Social Media icons have been added!